Foods High In Calcium – Can You Meet Your Daily Calcium Requirement With These Foods? Do you know that calcium is the most abundant mineral present in our body? In fact, about 1-2 percent of our body weight is due to calcium and around 99% of this mineral can be found in the bones and teeth. Here are 12 best foods high in calcium that will do a lot more than just strengthening your bones and teeth. The Best Source Of Calcium – What Foods Are High In Calcium? It is always the smartest way to fill up ourselves with the mineral in the quickest way possible! This requires us to know the best sources of calcium so that the foods that we take are the best providers of this mineral! If you love consuming dairy products, the good news is that most of the dairy products like milk, yogurt, cheese, are a rich source of calcium. If you are intolerant towards lactose, you have other best options such as leafy greens, beans and lentils, fish varieties, nuts and seeds and fortified drinks which are also calcium rich foods. You may get constipated or may be prone to kidney stones due to excess calcium intake which is why it is much essential for you to know the exact calcium intake according to your age. Hypercalcemia is the condition which refers to the presence of excess calcium in the blood which can be identified by the symptoms such as a lack of appetite, nausea, abdominal pain, headache, fatigue, frequent urination, abnormal heartbeats, muscular cramps, being forgetful, irritability and dehydration! An ideal intake of calcium varies from 1000 mg to 1300 mg but the exact intake varies according to your current age. Check with the below-mentioned table to know the exact amount of calcium that you must be taking. How Much Calcium Does Our Body Require? – Know The Exact Limit! Here is the exactly recommended calcium intake as per your age. Now that you have a clear idea of how much calcium you should take, here are the top 12 foods along with the exact percentage of calcium they provide and the exact percentage of the daily calcium requirement that they meet. Consuming dairy products for your breakfast, leafy greens for your lunch along with nuts and seeds as snack items, fish and soy products regularly and also consuming fortified foods occasionally helps you meet your daily calcium requirement. Consuming one cup of skim milk which is around 244 grams contains 276 milligrams of calcium which helps you meet 28% of your daily calcium requirement. What more? Following a simple tip of drinking one cup of milk twice a day helps you meet 56% of the daily calcium requirement. Make sure that you consider skim milk rather than whole milk because skim milk provides more calcium and fewer calories when compared to whole milk. Skim milk is the milk from which fat (cream) is removed yet it provides the same amount of vitamins and minerals as whole milk. Consuming one cup of yogurt (245 grams) made from skim milk provides 488 milligrams of calcium which fulfils 49% of your daily calcium requirement. Ensure that you consider Low-fat yogurt or skim Yogurt rather than yogurt prepared from whole milk since the yogurt with less fat content provides more calcium than the one prepared from whole milk. Our body cannot produce calcium on its own. Moreover, we lose calcium through our hair, nails, skin, urine and stools. So, we need to fill up ourselves with enough calcium through the best calcium rich foods! Consuming fresh yogurt for breakfast and lunch prevents osteoporosis since it provides plenty of calcium! 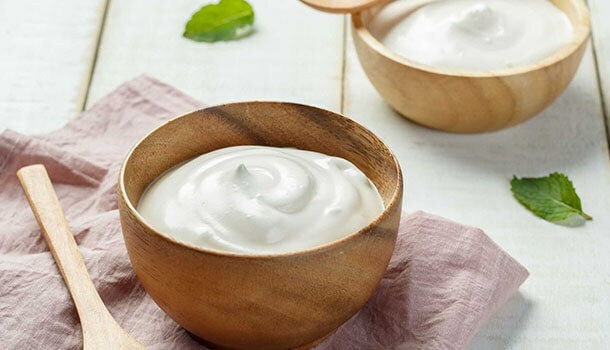 Apart from being one of the good sources of calcium, yogurt strengthens your immune system, benefits your gut health, helps in weight loss and protects your heart health. 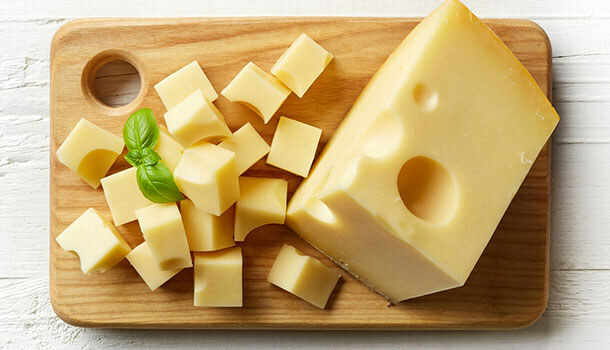 One cup of cheddar cheese (diced) which is around 132grams provides 952 milligrams of calcium which fulfils 95% of your daily calcium requirement. It is evident from the above facts that cheese is the best dairy product which is an excellent source of calcium. However, you have to remember that cheese consumption should be limited to as less as 1 ounce (28 grams) per day. Though cheese is the best dairy product that you can consume for calcium, you may have to look for other best sources of calcium and consume cheese in relatively fewer quantities keeping in mind its impact on your heart health. Cheese, when consumed in moderate amounts, provides your body with great amounts of Vitamin B1, Vitamin B2, vitamin B12 and Vitamin A. Apart from being one of the best calcium rich foods, cheese also contains zinc and phosphorous which are essential for bone health. Presence of Zinc in cheese is an added advantage because zinc helps in the proper absorption of calcium. Including at least one of the following leafy greens in your diet provides your body with good amounts of calcium. Leafy greens also beautify your skin, hair and protect your eyes from damage because of their antioxidant properties. But, Is It Safe To Rely On Leafy Greens For Calcium? One simple fact that often goes unnoticed is that most of the leafy greens contain oxalates in them which do not help in proper absorption of calcium. Moreover, these oxalates bind to calcium, resulting in the formation of calcium oxalates in kidneys which we usually refer to as kidney stones. People who are already suffering from kidney problems can choose dairy products as their source of calcium instead of leafy greens. Which Leafy Greens To Choose? Avoiding leafy greens due to its high oxalate content is not the right solution anyhow! You can still choose some of the below mentioned leafy greens as a source of calcium. b) Consume dairy products regularly so that you get boosted with good amounts of calcium. Note – Do not consume dairy products soon after consuming leafy greens to prevent the binding of calcium to oxalic acid, thereby preventing the formation of kidney stones! You can consume dairy products after a few hours of consuming leafy greens. One cup of chopped broccoli which is around 91 grams provides your body with 42.8 milligrams of calcium which fulfils 4% of daily calcium requirement. 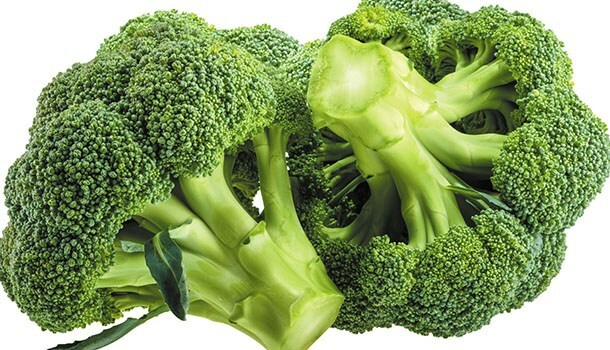 It is not only the presence of calcium in broccoli that helps in strengthening your bones but also the presence of collagen that helps in the formation of bones and tissues and helps in faster healing of injuries and wounds. Apart from being a good source of calcium, broccoli also helps in weight loss, treats constipation, promotes healthy digestion, enhances your brain function, improves your immune system and helps you during your pregnancy! The healthiest way to consume broccoli is to steam it in the microwave and drizzle little amounts of salt along with vinegar and olive oil. One cup of chopped Kale which is around 130 grams provides your body with 93.6 milligrams of calcium which fulfils 9% of daily calcium requirement. Kale is one of the most nutrient-dense foods on the planet which is also a good source of antioxidants like quercetin and Kaempferol which improvises your overall health. 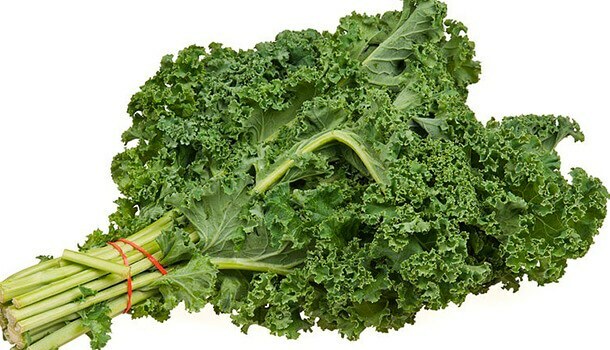 Regular consumption of kale also reduces your bad cholesterol and reduces the risk of heart diseases. One major reason why you must consider eating kale is that it is an excellent source of vitamin K and this blood clotting vitamin is very much essential for storing calcium in the bones, rather than the blood vessels. For a healthy consumption of Kale, you can add it into your soups and salads or simply make a smoothie out of this nutritious veggie. One cup of chopped collards which weigh around 190 grams provides 266 milligrams of calcium which fulfil 27% of your daily calcium requirement. Ideally, we obtain the same amount of calcium from both milk and collard greens. You can choose to consume collard greens as a source of calcium instead of milk if you are lactose intolerant. Collard greens also provide good amounts of Vitamin A, Vitamin C, Vitamin K, Vitamin B6, Riboflavin, Thiamin, pantothenic acid, iron, magnesium, manganese, and Folate. Collard greens improve your bone health, reduce the chances of cancer, improve your digestion, enhance your liver functioning, promote healthy skin and hair, enhance your mood and promote healthy sleep. Nuts and seeds are a powerhouse of nutrients and moreover, they gratify your cravings which keeps you away from consuming junk and unwanted food that serves no other purpose than just adding extra calories! There are some varieties of nuts and seeds which can be added into the calcium rich food list for reaping the maximum benefits! One cup of Ground almonds which weighs around 95 grams provide 251 milligrams of calcium which fulfils 25% of your daily calcium requirement. Apart from calcium, almonds are a good source of Vitamin E, thiamin, riboflavin, niacin, folate, pantothenic acid, choline, Iron, magnesium, phosphorous, potassium, zinc, copper and manganese. Consuming a handful of almonds for your breakfast, on an empty stomach and consuming dairy products like milk or yoghurt helps you meet half of your daily calcium requirement. Apart from strengthening your bones and teeth, almonds also help in reducing cholesterol, help in weight loss, control your blood pressure, regulate your blood sugar levels, reduce the chances of cancer and heart diseases. Tip – You can also mix the crushed almond powder into a glass of milk and add sugar to the milk to relish a healthy and tasty drink every day. One ounce of chia seeds (28 grams) contains 177 milligrams of calcium which helps you meet 18% of your daily calcium requirement. Chia seeds are also a great source of manganese and phosphorous though they contain copper, potassium and zinc in little amounts. Chia seeds contain good amounts of protein and fibre in them which assists in an easy weight loss because proteins can reduce your appetite and fibre promotes healthy digestion. Chia seeds are majorly known for keeping blood pressure in control which protects your heart health by preventing strokes. 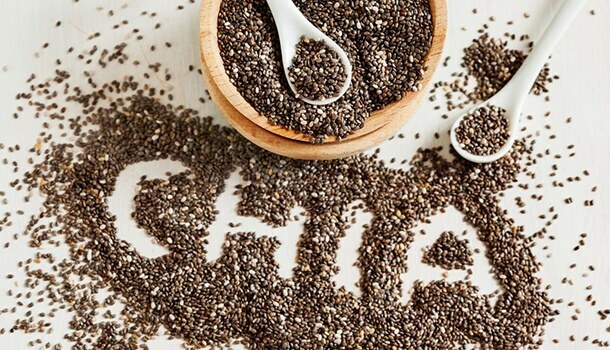 The best way to keep up your bone strength and reduce osteoporosis is to consume chia seeds since these are also a good source of omega-3 fatty acids which can fight the inflammation and prevent chronic diseases. Just one tablespoon of poppy seeds which is around 9 grams gives 126 milligrams of calcium which fulfils 13% of your daily calcium requirement. Poppy seeds may not seem of an extensive usage but they are popularly used in most of the dishes for garnishing and adding a distinct flavour to the dish. They also make a good source of manganese, magnesium and phosphorous apart from containing Iron, Potassium, Zinc, Copper, and Selenium in minute quantities. Poppy seeds can improve female fertility, improve digestion, treat insomnia, enhance brain health, strengthen your bones, regulate your blood pressure, improve thyroid function and also enhance your skin and hair health. One ounce of Sesame seeds which is around 28 grams contain 273 milligrams of calcium which help you meet 27% of your daily calcium requirement. Apart from using sesame seeds for cooking, you can also add sesame oil for seasoning and add a good flavour to your dishes. Calcium content present in sesame helps in preventing bone disorders, preventing colon cancer, reducing the symptoms of P.M.S and treating Migraine. 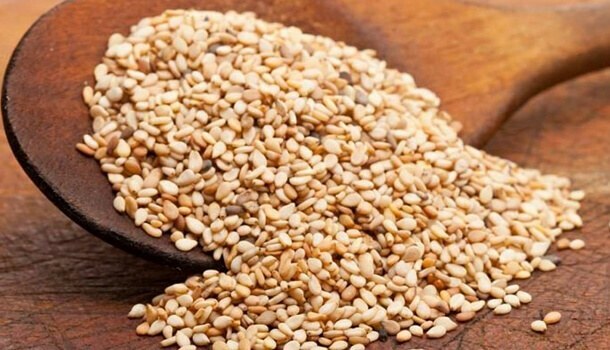 Consuming sesame more often also protects your heart health, boosts your metabolic function controls diabetes and facilitates proper skin and hair growth. One cup of sardines which weighs around 89 grams provides 214 milligrams of calcium which helps you meet 21% of your daily calcium requirement. Fish are popularly known for the presence of healthy fats called omega-3 fatty acids which can improve your brain health, prevent cancer, improve bone health, reduce menstrual cramps, improve your skin health and improve the quality of sleep! If you are looking for calcium to enhance your bone health, sardines would make a perfect choice since they contain proteins along with other bone-strengthening minerals like phosphorous and zinc. 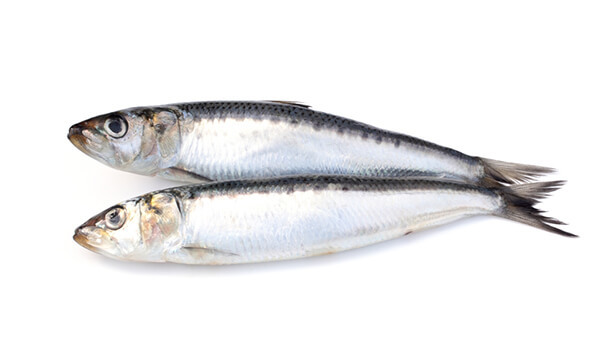 Sardines are also a good source of vitamin D, vitamin B12 which improve your bone and muscular health. Choose those Sardines which are firm when held, which smell fresh, which have a shiny skin and bright eyes. One cup of fortified soy milk which is around 237 ml fulfils 30% of your daily calcium requirement. 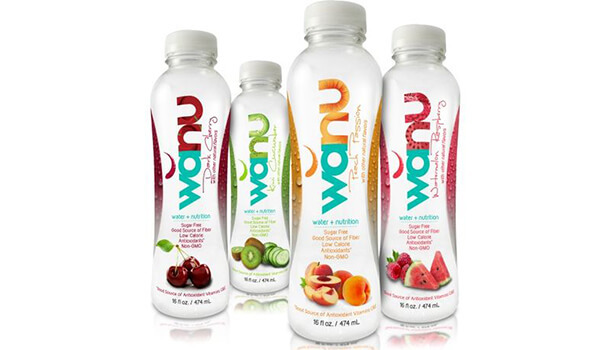 Fortified drinks are those which are added with additional supplements (nutrients) to make them powerful. If you hate drinking milk, fortified drinks are the best way to increase your intake of calcium since these are nondairy products, However, the quantity of calcium is not same in all fortified drinks and it varies with the drink. For example, fortified orange juice may help you meet 50% of daily calcium requirement. You may have to talk to your health care professional to know the best source of calcium and the type of fortified drink that you must choose. Foods high in calcium are easy to find. Dairy products are the best source of calcium but if you are lactose intolerant, the next best options include leafy greens like Broccoli, kale, collard greens, nuts and seeds like chia seeds, sesame seeds, poppy seeds, almonds, fish like sardines and fortified drinks. However, you must be careful regarding the consumption of leafy greens if you are suffering from the problem of kidney stones because of the presence of oxalates in leafy greens which can combine with calcium and result in the formation of kidney stones.